Last month, I took a lot of abuse from readers who said I was nuts to argue that President Barack Obama would veto the Stop Online Piracy Act (SOPA), in the event that Congress passed it and sent it to his desk. On top of that, some of the technical proposals in the bill — meant to remedy the piracy problem — go too far in tinkering, and might perhaps mess up the basic plumbing of the Internet itself. 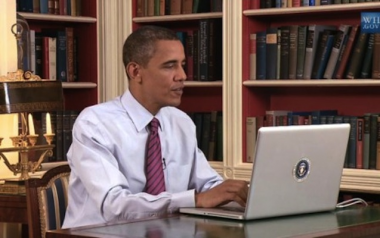 Doing so would probably create unforseen Internet security problems, the White House argues. Any bill that does aim to clamp down on piracy should be “narrowly targeted,” and cover only “activity clearly prohibited under existing U.S. laws.” That’s also a pretty clear statement that the Administration sees SOPA, as currently written, to be vastly over-broad in its legislative intent. Additionally, there are also reports that Eric Cantor — the Virginia Republican who everyone knows is the real power broker in the House of Representatives — says the SOPA bill won’t come to the House floor for a vote anytime soon, unless there are some significant changes to it. Somehow, I find it encouraging that opposing SOPA — or at least calling for changes to it — was the issue on which Obama and Cantor, who can’t seem to agree on anything, found they had some room for common ground. Could this signify a badly needed thaw in bipartisan relations in Washington?